When you make discipling men your portal priority, men will notice. As a matter of fact, they are already noticing a lot more about your church than you may think. How do guys know this? Is there a sign out in front of your church: “First Community Church, Shirt and Tie Required”? Do you have fashion police standing at the doors letting only the appropriately dressed people in? Of course not. Men are smart. It doesn’t take more than a week to figure out what to wear. Give us two or three weeks, and we’ll be carrying the “correct” translation of the Bible; and in two months we’ll be nodding and saying “Amen!” in all the right places during the sermon. 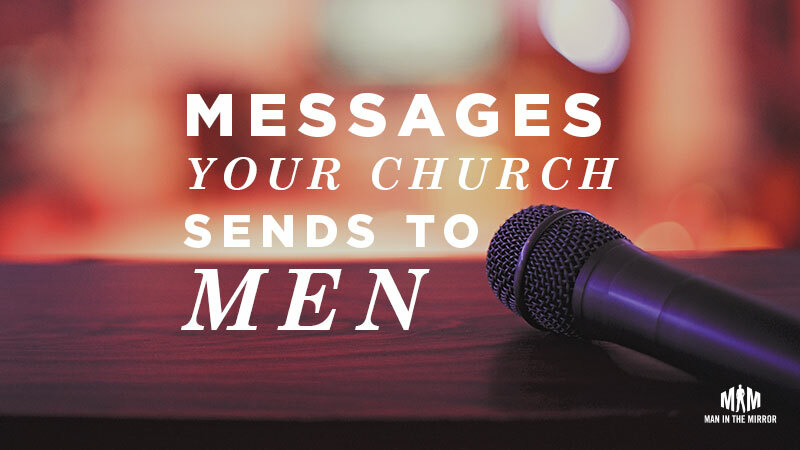 Just as your church has an unspoken—but well-known—dress code, it also has an unspoken “man code.” The man code is the environment your church creates for men. Within a few weeks after beginning to attend, a man understands what it means to be a man in this church. Just like with the dress code, this impression isn’t explicitly stated. Men soak it in from the atmosphere around them. What impression does your church give about the importance of men? How would you complete this statement: “Men Are ________ Here”? These are some of the answers we’ve received from church leaders who worked with our Area Directors and gone through our No Man Left Behind courses in the past. One man said their man code was “If you’d like your wife and children to go to church, bring them here.” Another said, “Successful men wanted here.” Another’s was, “If you think you’re tired now, come to our church and we’ll show you what tired really is!” Obviously, we’ve also had many positive man code statements as well. What about your church? Imagine a new man comes to your church three or four times. In a phrase or sentence, how would he honestly sum up what he thinks it means to be a man in your church? Consider this question carefully and then write your man code down somewhere. Since it’s not something that’s explicitly stated, how exactly do men figure it out? Here are some ways men learn to recognize the man code from the environment their church creates. Men look at the leaders. Men follow strong leaders. They like to know that their leaders are certain of where they are going and what they are saying. This isn’t about browbeating or blind obedience, it’s about confidence. If a man doesn’t believe in the leaders, he can’t follow the vision. Men read the bulletin. If your church bulletin has a section for women’s and children’s ministry events, does it have a section with information for men? If not, what message does that send? More important than the amount of space the bulletin devotes to men, how does it communicate with the congregation in general? If your bulletin has articles in it, think about adding an article for the men once in a while. They look at the decor. Really! Men notice the setting and pick up on its message. Get some guys on the decorating committee to help make the physical environment of your church inviting to men, women, and children alike. Maybe have a special booth or area that’s specifically designed for your men’s ministry. They look for quality. Men are extremely sensitive on this issue. Quality extends from the music during service, the flyers you hand out, the events you hold for them, the materials you used in small groups and Sunday school, and even the website for the church. A note of caution: Humor at the expense of people sends the wrong message. Don’t make people feel stupid for a laugh. They listen for the vision. Men want to believe that God is doing something through your church. They want to be part of a church that is going somewhere. They want to know that being a part of your church matters. Over the last few weeks, we’ve discussed how to build a strong foundation for your men’s ministry. A philosophy of ministry that says discipleship is your portal priority puts first things first, and encourages you to always focus on discipling men’s hearts instead of correcting their behavior. Making sure your church makes men feel welcome increases the likelihood they’ll hang around long enough for your ministry to make an impact in their lives. 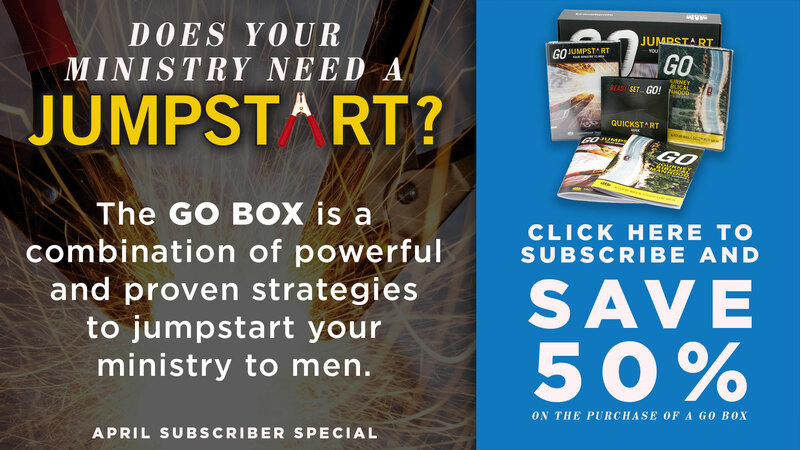 If you’re looking for ways to get started in your church, find an Area Director near you to get in-person help or check out our GO: Jumpstart Your Ministry to Men Box.